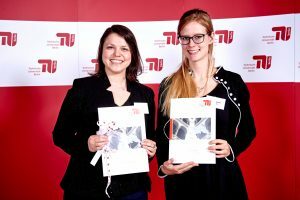 For the seventh time, the TU Berlin awarded Germany scholarships to highly talented and extraordinary committed bachelor and master students across all disciplines of the university. The program constantly expanded over time since the beginning and at the present time comprises a total of 105 scholarships from private sponsors like companies, foundations or private individuals. At January 31st, this years scholarship award was celebrated by scholars, sponsors, academic staff, family and friends in front of an impressive scenery at the atrium of the TU Berlin. 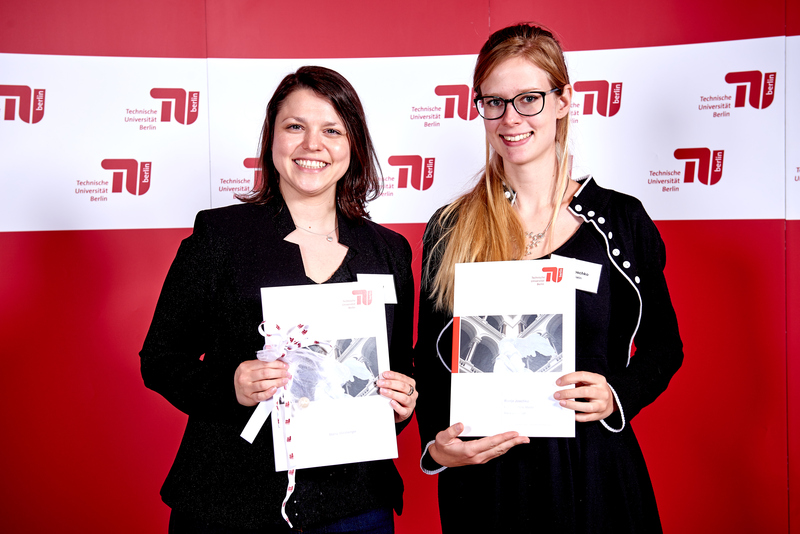 Sponsoring another fellow student from her former masters degree course “Human Factors”, CrossWorlds researcher Maria Wirzberger was invited to hand over the scholarship certificate to her current scholar Ronja Joschko, who turned out to be a perfect match. Both are looking forward to a year filled with inspiring conversations, lively exchange and a boost in knowledge and experience for each side. 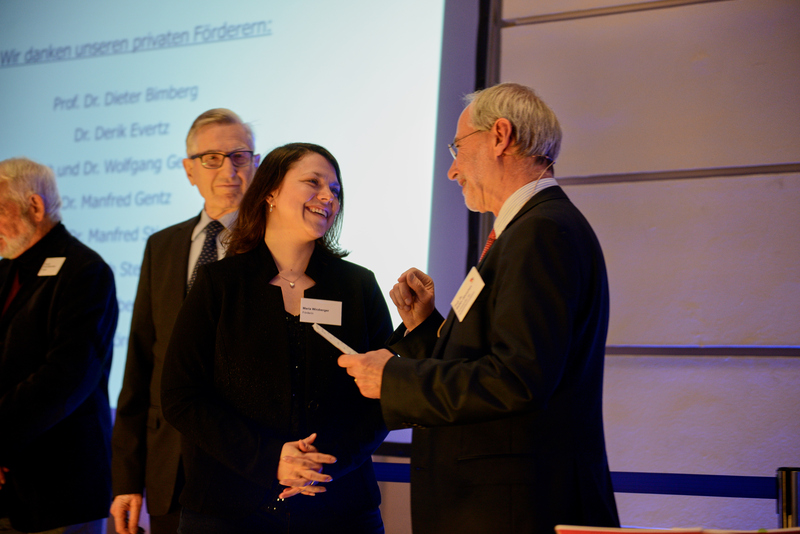 Moreover, our ambitious young researcher had the chance to further enhance her professional network while socializing during the event. This entry was posted on February 8, 2018 at 9:01 pm and is filed under General. You can follow any responses to this entry through the RSS 2.0 feed. Both comments and pings are currently closed.